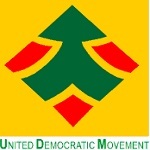 In 27 September 1997, the United Democratic Movement popularly known as “UDM” was launched at the World Trade Centre, in Kempton Park after the National Consultative Forum (NCF) which was established on 8 February 1997 as a platform to consult South Africans on the need or not for a new political party. The UDM was co-founded by former African National Congress and Transkei homeland leader, General Bantu Holomisa and a prominent National Party leader, Roelf Meyer who has since resigned from the party, and a former ANC Executive Committee member, John Taylor. Bantu Holomisa was elected the party's first president at it's first national congress in June 1998. The Democratic Alliance (DA) was formed on the 24th of June 2000, when the then Democratic Party and the New National Party signed an outline agreement to establish the party. Under the combined leadership of Zach de Beer, Denis Worrall and Wynand Malan, the DP won 36 seats in Parliament in the general election of September that year.The party now rebranded as DA is currently headed by Hellen Zille , the premier of the Western Cape. Hellen Zille succeeded Tony Leon who was the president of the party since its merger. The party recently merged with the Independent Democrat which was headed by Patricia de Lille . 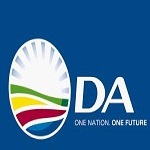 The DA is the lineal descendant of the Progressive Party (PP), formed in 1959 and is currently the largest opposition party in South African politics. 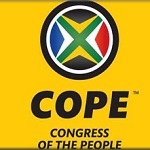 On 16 December 2008, a new political party called the Congress of the People popularly known as COPE was officially launched in Bloemfontein. The party is headed by Mosiuoa Lekota who was a prominent member of the ANC and former defence minister. His ANC membership was suspended in October 2008 and he resigned on principle as defence minister after former President Thabo Mbeki’s removal in September that year. He accused the ruling party of stifling dissent and contravening the rule of law. The new party was also founded by Mbhazima Shilowa who was the premier of Gauteng and Mluleki George, the former deputy minister of defence of South Africa, both former high-ranking members of the ruling party ANC. The South Africa First party (SAFP) was launched in 27 April 2014 and founded by disgruntled ex-combatants from the ANC's armed wing, Umkhonto we Sizwe. In its statement,SAFP was founded to create space for participation in shaping the future of South Africa by the private citizen and their civil society organizations (a coalition of many and varied civil society organizations (interest-driven organizations, communities, and individuals in the country). The main aim of the party is to reclaim the space for private citizens and to enable them to participate in influencing public discourse and in shaping the future of this country. According to its spokesperson,Eddie Mokhoanatse, the party intended to contest the 2014 elections and was preparing to register with the Independent Electoral Commission. On the 21st March 2013, the Worker's and Socialist Party, (WASP) was launched in Pretoria. 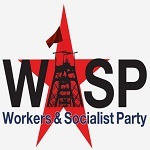 WASP was founded out of the 2012 mining strikes that saw police killing 34 miners in Marikana.WASP is a party of the working class and the party is be funded by the working class through the building of a mass membership. WASP view itself as a party that can unite workers struggles and champion workers interests. In this regard, WASP is a party based on workers struggles, rooted in workplaces and working class communities, with a mass membership. 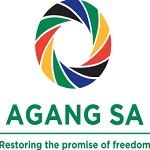 On 22 June 2013, after months of consulting and recruiting,a leading apartheid-era activist, former director of the World Bank and vice chancellor University of Cape Town Dr Mamphela Ramphelelaunched a new political party called Agang at the Tshwane Events Centre. The name Agang mean “let us build" in Sesotho. Barney Pityana , the former Unisa vice-chancellor is one of the high ranking member who joined the party. On 13 November 2013, the Economic Freedom Fighters(EFF) was launched as a newest political party in South Africa. The EFF was formed by the disgruntled former ANC youth league members Julius Malema and Floyd Shivambu. It advocates the redistribution of land, nationalizations of mines, and much of the rest of the economy that is historically owned or controlled by whites.